I’m happy to announce that my law blog is back in business. 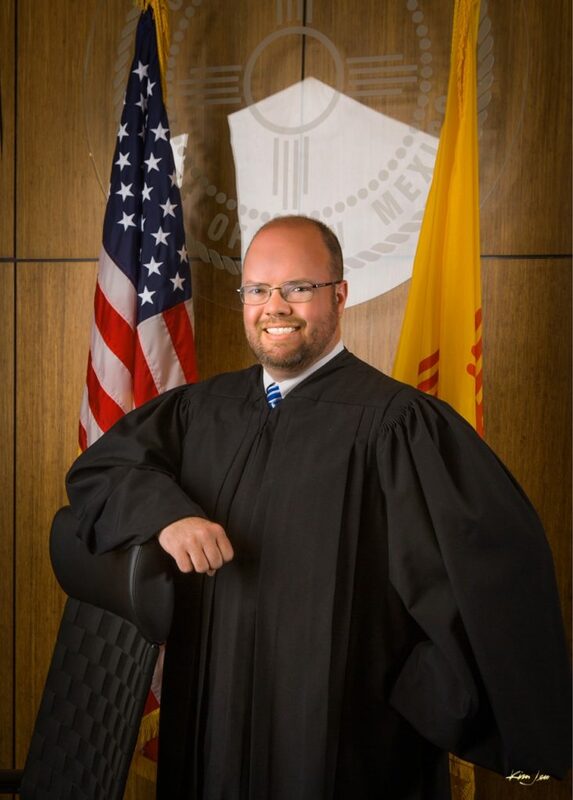 I took the blog offline after being sworn in as a judge on the New Mexico Court of Appeals in October 2017. I campaigned to keep my seat, but was washed away in the Blue Tsunami of 2018. My term in office expired at the end of December 2018. Although it was a great experience to put on these robes, I’m now back in private practice! It was a great experience to work on an appellate court, and to meet hundreds of people all over our great state while on the campaign. I’ve now rejoined the Modrall Sperling law firm as a shareholder, and plan to continue my appellate practice. A happy result of the election is that I can now restart this website. I look forward to discussing events in New Mexico’s appellate courts, and in the Tenth Circuit, with you! You can (and should) read all about e-filing here. It looks like e-filing will be mandatory right away, except for pro se litigants. When e-filing started at our Supreme Court earlier this year, there was a grace period of a couple of months, in which one could file documents via e-filing or in person. But since the Court of Appeals has waited so long for e-filing, it is jumping into the deep end right away. Also, if you have cases pending at the Court, you should add yourself to the service list for those cases so that you will receive notice of any filings. Registration is now open for this year’s New Mexico Appellate Practice Institute, the annual all-day CLE program sponsored by the Appellate Practice Section. The seminar will take place on Friday, September 15, at the State Bar Center in Albuquerque. Until August 15, you can register (at this link) for the early-bird rate of $239. After that, the price goes up. I’m not sure how high … but do you really want to find out? Our keynote speaker is Judge James Graves of the U.S. Court of Appeals for the Fifth Circuit. Judge Miles Hanisee, Senator Jacob Candelaria, and former UNM law school dean Leo Romero will discuss New Mexico’s process for appointing judges. Judges Julie Vargas and Hank Bohnhoff will talk about the transition from private practice to appellate judge. A distinguished panel will show you how to make use of extraordinary writs in your practice. As usual, we will have updates on recent appellate developments in caselaw, and hear from the clerks of our Court of Appeals and Supreme Court. And finally, legendary appellate mediator Robert Rambo will talk about ethical issues on appeal.